VIDEO: 2013 Ford Mustang Hitting the Streets! We have been seriously teased by this commercial starring the brand new 2013 Ford Mustang! It starts off with a new silver Mustang rolling through some busy city streets. As the new ‘Stang drives, it grabs attention from different people and transforms into their own custom creation by “unleashing their inner Mustang”. 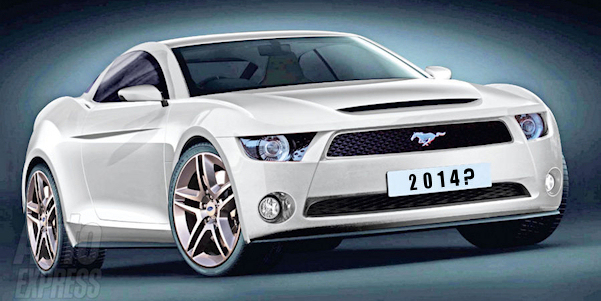 Do You Like The New 500HP 2014 Ford Mustang? The times are indeed a changin’! I think we may have proof of this change as the Mustang world anticipates the release of the 2014 over-haul that has sparked a ton bit of speculation. The interior is rumored to be much better with higher quality materials and the installation of advanced technology. Also, the 2014 Mustang model will be a retro throwback to the 60’s Fastbacks and will now feature change in the form of… a Turbo Charger ! 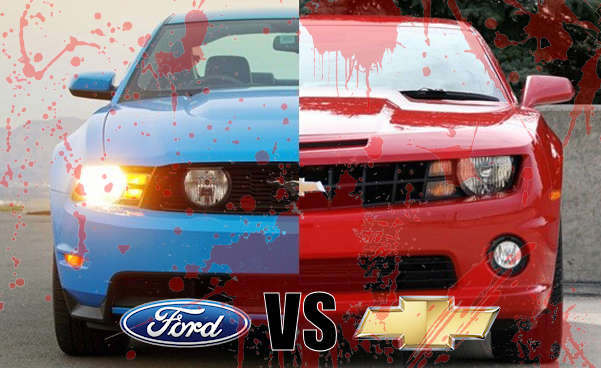 Ford vs. Chevy Debate Ends in a Knife Fight! So apparently talking about religion or politics doesn’t lead to the most heated debates… Blue-Oval vs. Bow-Tie does! 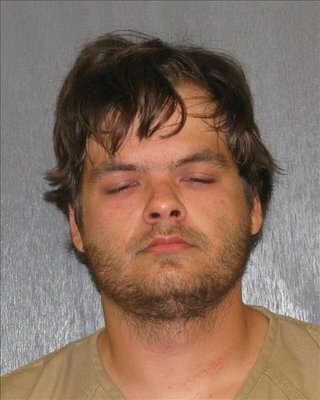 After some heavy alcohol consumption, a 21 year old Georgia man got into a classic argument with another bar fly who didn’t agree with his views on Ford vs. Chevy superiority. 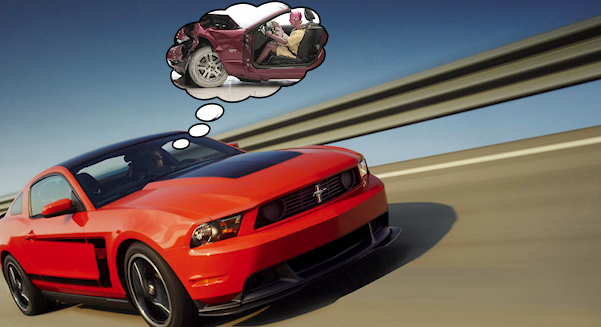 Boss Mustang Brake Failure: Is 60-0 Just as Important? If any of you have ever experienced brake failure, you know that split second can scare the crap out of you! 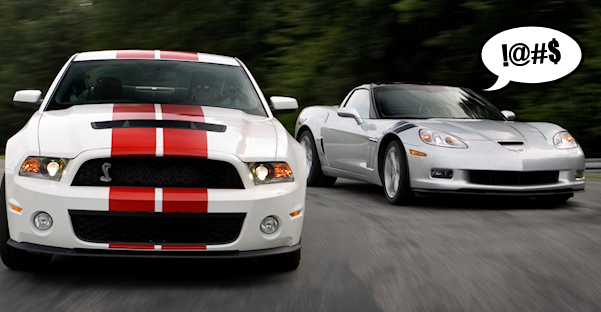 Now imagine brake failure in your brand new 2012 Boss at the quarter mile… yeah… now we’re shaking a little. That’s what happened when Motor Trend went to brake test their new bright-yellow Boss 302 Mustang at the track. SPY: 2012 Boss 302 Mustangs Ready to Hit the Street! New 2012 Boss or Original Boss 302? We all know that the new 2012 BOSS 302 is a beast! Well, I do, anyway. I’m hoping you agree, especially after watching the video of the quarter mile run on the Dynojet at the Cobo Hall Auto Show held in Detroit. Although it is virtually stimulated, it still lit it up with a VERY nice 12.4 second run. Thanks to one of our boys over at Dynojet, we got this sneak peek photo of the sleeping beauty before they fired her on up!